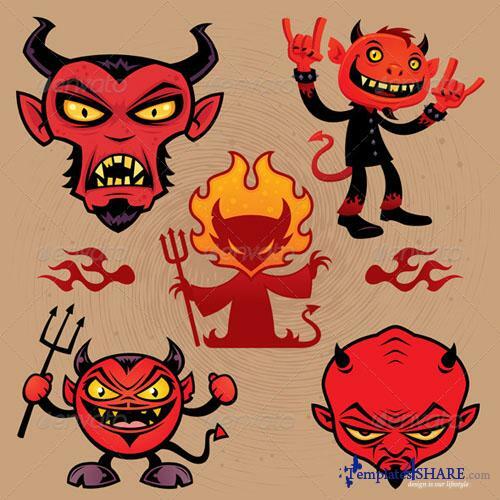 A collection of vector cartoon devil characters in various styles. High-resolution PSD and JPG files included along with Illustrator AI and EPS files. Each devil is on his own layer.